Knife companies hone the economies of Tigard and Tualatin as the region itself carves out a new identity. Tigard economic development manager Lloyd Purdy is glad to have knife and outdoor gear maker Gerber in his patch of the southern Portland metro area. The company helps him lure outside investment to the city of 50,400, and it continues to grow after spawning a local knife industry that has put Oregon on a global knifemaking map that includes Solingen, Germany, and Seki, Japan. 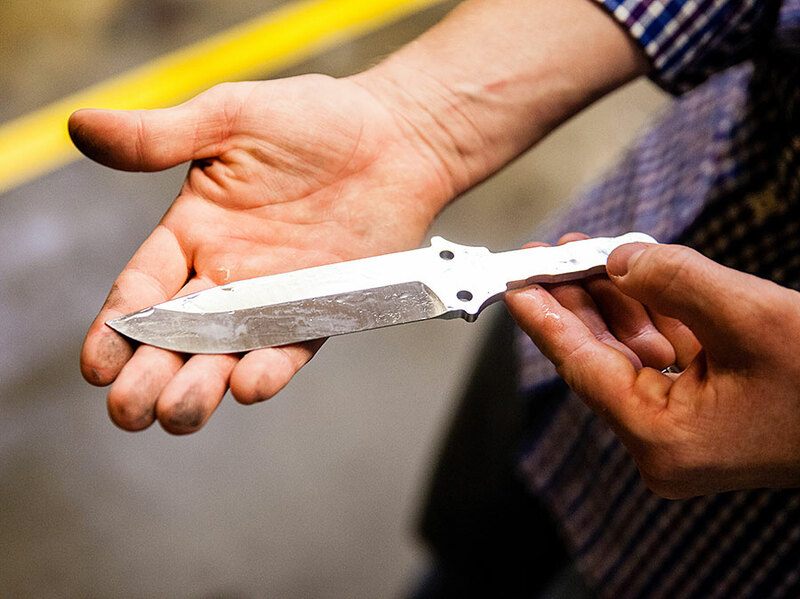 Gerber, once an advertising company, morphed into a knifemaker in the first part of the last century on a quirk and has given birth to an entire industry that has convinced at least one other U.S. knifemaker to relocate. Although the industry directly accounts for 2,200 jobs in the entire Portland region — only 1% of the workforce — it’s still helping Tualatin, Tigard and other nearby towns and cities grow. Tens of thousands commute daily to the two cities, lured by the above-average wages of Gerber and its ilk, as well as semiconductor plants and suppliers, the area’s main employer. Pocket knives are an integral part of any American outdoor story and are part of Portland’s broader outdoor industry and image. They also tie in with the area’s love of handcrafts while diversifying the workforce. Only a minority of the knives sold by Portland’s knife industry are made here, but a majority of the jobs, many of them high paying, are concentrated in the southern Portland metro area.